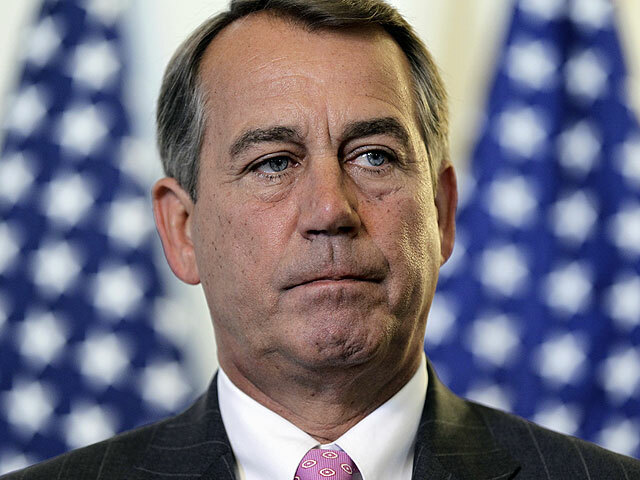 WASHINGTON - Rep. John Boehner, speaker of the U.S. House of Representatives urged President Barack Obama on Tuesday to explain the legal grounds for the continued U.S. military involvement in Libya and set a Friday deadline for the commander in chief's response. Ratcheting up the pressure, the Ohio Republican said in a letter to the White House that the administration clearly will be in violation of the 1973 War Powers Act this weekend. Mr. Obama did not seek congressional consent for the operation within 60 days of the March 19 U.S. airstrikes against Moammar Gadhafi's forces. Among the backers of the resolution is Sen. John McCain of Arizona, a leading proponent of military action against Gadhafi, the top Republican on the Armed Services Committee and Obama's presidential rival in the 2008 election. McCain warned his Republican colleagues against any steps that would send a positive signal to Gadhafi. "I caution my friends, both here in the Senate and in the House of Representatives, that we don't want to do anything or pass legislation which would encourage Gadhafi to remain in power," McCain told reporters. Sens. Jim Webb, a Democrat, and Republican Bob Corker introduced a separate resolution last week that presses Obama to seek congressional consent for continued U.S. military involvement in Libya and requires the administration to provide a detailed justification for the decision to go to war. McCain said there are continued signs of deterioration for Gadhafi's hold on power, including high-level defections from his regime. One of the most vocal critics of Obama, Democratic anti-war Rep. Dennis Kucinich, said he and Rep. Walter Jones, a Republican, will file a complaint in federal court Wednesday over the Libyan war.